Every maker has a story. Be a part of The Brothers Crisp's story by placing an order, leaving a review, and seeing your review appear here. Double vamp canoe moccasin. 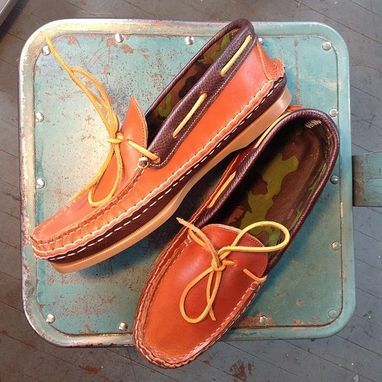 Deck sole, with dark whiskey double vamp and collar, with with cognac upper. printer camo leather liner.